An inquiry into the circumstances under which children are taken from their family homes and put into care is being held by MSPs. The probe, by Holyrood's education committee, came after concerns that looked-after youngsters are being left behind in the school system. 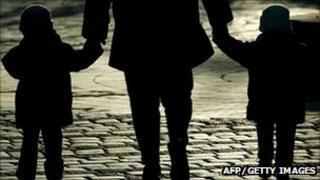 MSPs want to examine the decision-making process for taking children into care and whether it works properly. At the moment there are 16,000 looked-after children in Scotland. The inquiry, which is spending the next six months taking evidence, was announced in the wake of an earlier report by the committee , which raised concern that children in care were lagging behind their classmates to an "unacceptable" degree. MSPs want to question people who work with looked-after children, as well as frontline care services workers. Whether there is consistency in decision-making processes across the country. Whether factors like parents with drink or drug problems would create a "presumption" that a child should be removed from the home. Whether the speed of decision making in cases is appropriate. Children's charity Barnardo's Scotland has expressed concern there is too much emphasis put on the rights of parents and not enough thought given to the impact which long-term neglect can have on children. Education committee convener, SNP MSP Stewart Maxwell, said: "This inquiry is not about rushing to make judgements about the systems currently in place. "It is about asking the difficult questions to make sure that these systems really are working for children and their families. "Our committee will examine the processes involved in deciding whether to remove a child from the family home and consider whether these are consistent across the country. "Only by doing this can we really be sure that we are making the best decisions for children who may be abused or neglected."